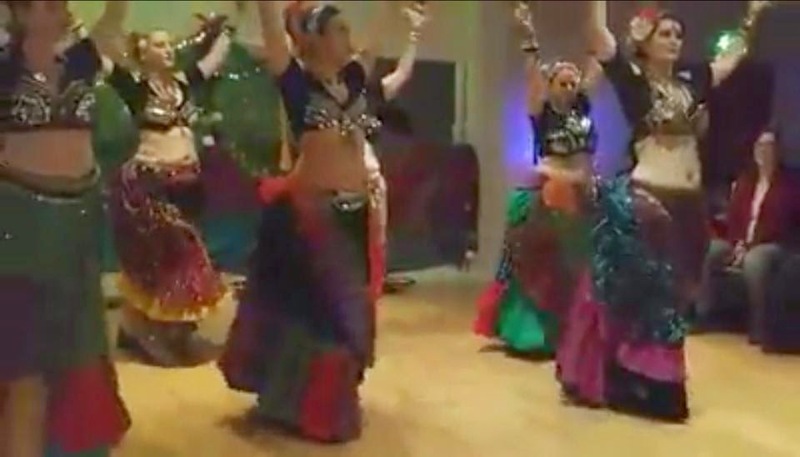 Ashnah visited Aylesbury for this hafla, and one of our slots was a collaboration with Mahi tribe from Windsor. The evening was hosted by the lovely ladies of Barefoot and their musicians, the Barefoot Band, and the evening's proceeds of £306.12 went to the MacMillan.charity, with a further £167.10 from Barefoot's Jennie's sari stall will go to schools in India, another noble charity. 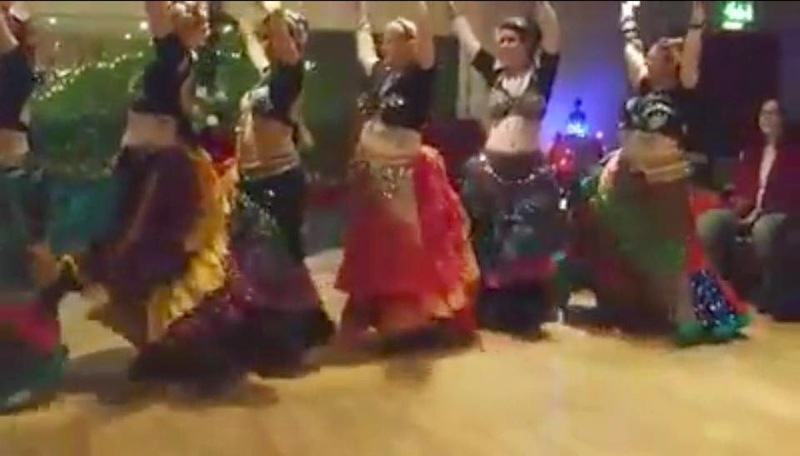 We caught up with some familiar faces such as Fulya and Mim and also met ATS® troupe, Cat Barclay and her Jadoo’s Jingles who performed a lovely skirt number to a most wicked Calypso sounding rhythm. As for the raffle prizes, they were the best I’d come across and miraculously, I won some Body Shop beauty products and some chocolates which we managed to finish halfway home; what else is it all about – dancing and chocolates!! !